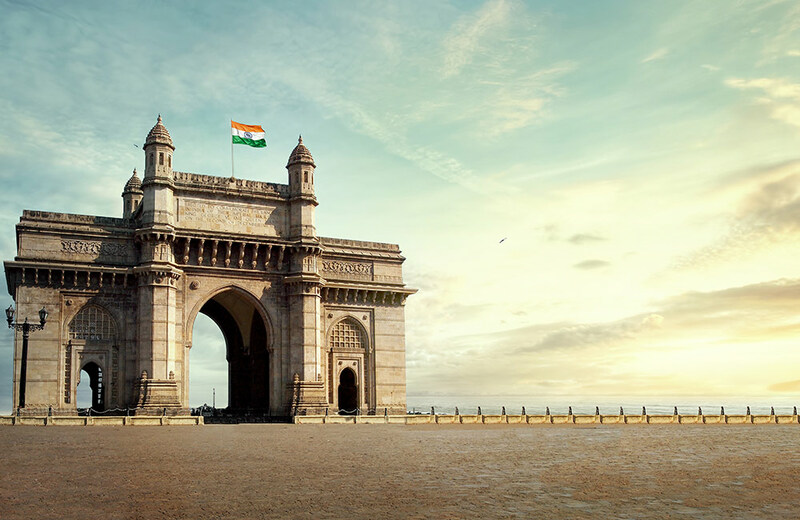 The Gateway of India is undoubtedly one of the iconic monuments defining the cityscape of Mumbai. This colossal structure was built way back in 1924 to commemorate the visit of King George V and Queen Mary to this city. Standing next to the grand Taj Mahal Palace Hotel and overlooking the Arabian Sea, it exemplifies architectural splendor. It is a great place to spend some time with your family during the early morning or late evening hours. So, if you are considering places to visit in Mumbai at night with family, do not miss out on this spot. An interesting thing to do here is to take a ferry ride and enjoy a view of this magnificent structure from the sea. How about spending an entire day with your family at a UNESCO World Heritage Site? Take a one-hour ferry ride from the Gateway of India to the Elephanta Caves. 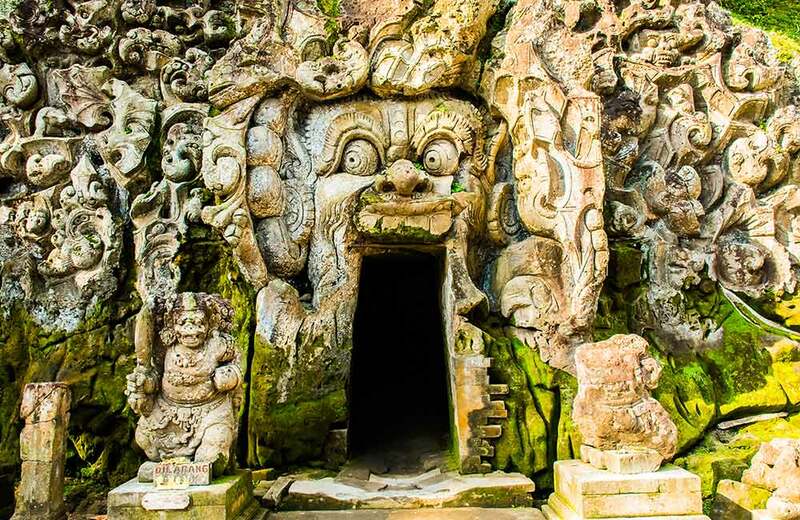 These ancient and gigantic rock-cut caves with stone sculptures date back to several centuries. To reach the caves, you will have to climb 120 stone steps or you can take a toy train journey from the dock to the entrance of the caves, something your kids will totally love. One of the best places to visit in Mumbai with family, this heritage destination stands as a testimony to the rich craftsmanship of the artisans of the bygone era. Do you and your kids love watching wildlife on the National Geographic Channel? 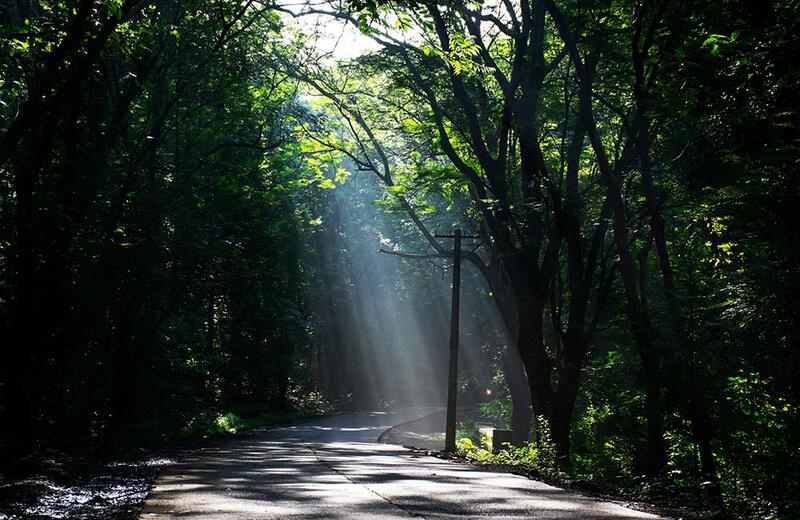 If yes, Sanjay Gandhi National Park must be on your list. Thanks to the various attractions at this park, it counts among the most frequented family places in Mumbai and witnesses a footfall of more than 2 million, every year. To begin with, it has a vast population of wildlife species. The lion and tiger safaris are the major attractions here while the 2400-year-old Kanheri Caves within its premises is another highlight. Sprawling over an area of 104 sq. km, the park includes an artificial lake where you can enjoy a boat ride with your family. You can also enjoy a ride on the toy train that passes over a few bridges and tunnels in the park. How about enjoying the hues of the setting sun, against the backdrop of the roaring Arabian Sea? 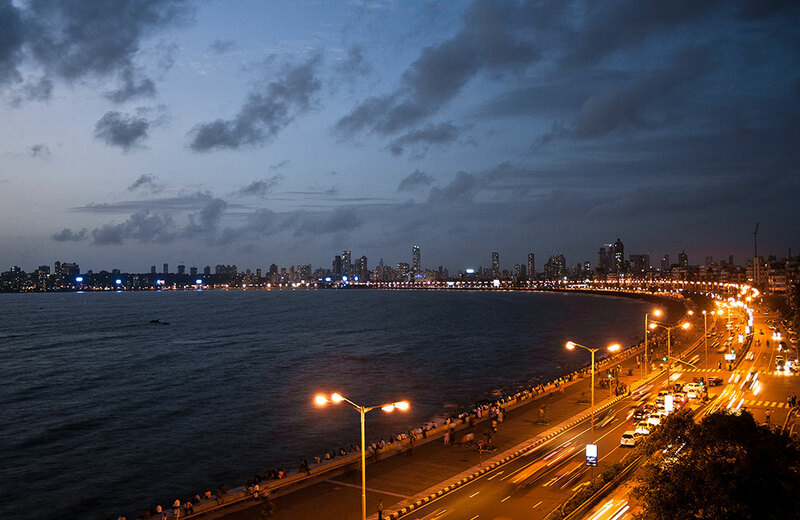 Then you must plan an evening with your family at Marine Drive, an undeniable part of Mumbai’s identity. It is a 3.6 km long boulevard that runs along the Arabian Sea coast. This stretch is popularly known as the Queen’s Necklace because if you view it at night from an elevated point, the streetlights lining the drive seem to resemble a string of pearls forming a necklace. What’s more, you can get a taste of the best Mumbaiya street food in and around this area. The best part is that you won’t have to spend a single penny to sit and spend time here, which makes it the best place for a family outing in Mumbai. Interested in finding out about other things you can do for free in this city? Check out our blog on the things to do in Mumbai for free for some great ideas. You must be wondering why we have included a religious place in the list of places to visit in Mumbai with family. Well, Haji Ali Dargah is more than a religious destination. It is symbolic of Mumbai’s spiritual fabric, visited by people of all religions and faiths. 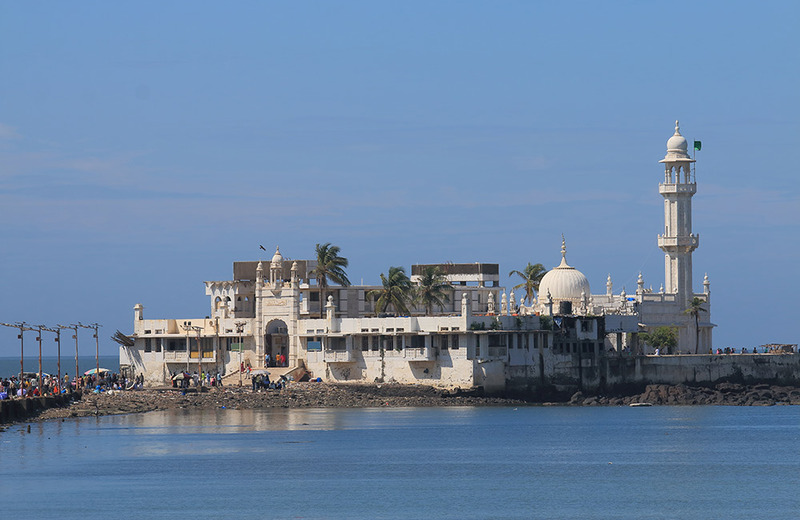 Situated on an island in the middle of the Arabian Sea, the place houses a mosque and the tomb of Sayed Peer Haji Ali Shah Bukhari. The grand structure is an excellent example of Indo-Islamic architecture built out of white marbles. While here, don’t forget to take a walk through the narrow causeway that links Lala Rajput Rai Marg to the dargah, which counts as one of the most delightful things to do in Mumbai with family. 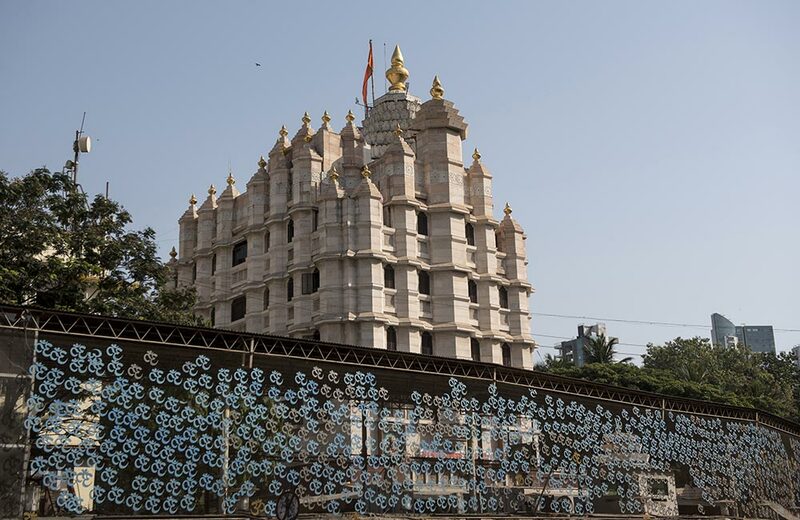 Another iconic religious destination in Mumbai is the Shree Siddhivinayak Ganapati Mandir. As the name suggests, the temple is dedicated to Lord Ganesha. If you are lucky, you can get a glimpse of not just the idol, but some of your Bollywood idols and politicians as well. The resplendent temple is considered to be one of the richest shrines in Mumbai, but it is the tranquil ambiance here that attracts devotees from far and near. If you are looking for places to go in Mumbai with family for an enriching spiritual experience, you can always count on this place. When you are in the mood to enjoy a fun-filled day with your family, head out to Essel World, one of the largest and most visited amusement parks in the country. 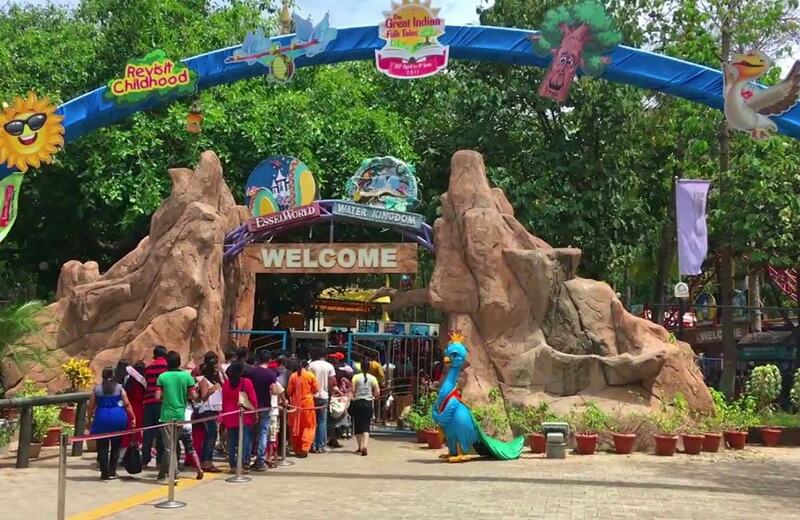 Counted among the best places to visit in Mumbai for family fun, the park opens up a world of adventurous rides and exciting activities for visitors of all ages. From family rides and adrenaline-soaring thrill rides to kid’s rides, there’s something for everyone here. There’s also a 6-lane bowling alley, a massive dance floor, and an ice skating rink to keep you busy for the day. Not to forget the restaurants at this place, where you can grab a quick bite to charge yourself up. Besides Essel World, there are several other amusement parks in Mumbai where you can have a fun-filled, thrilling day with your dear ones. Looking to spend an evening on a beach, watching the crimson sun, listening to the roaring sea, making sand castles with your kids, and munching on some roasted peanuts? 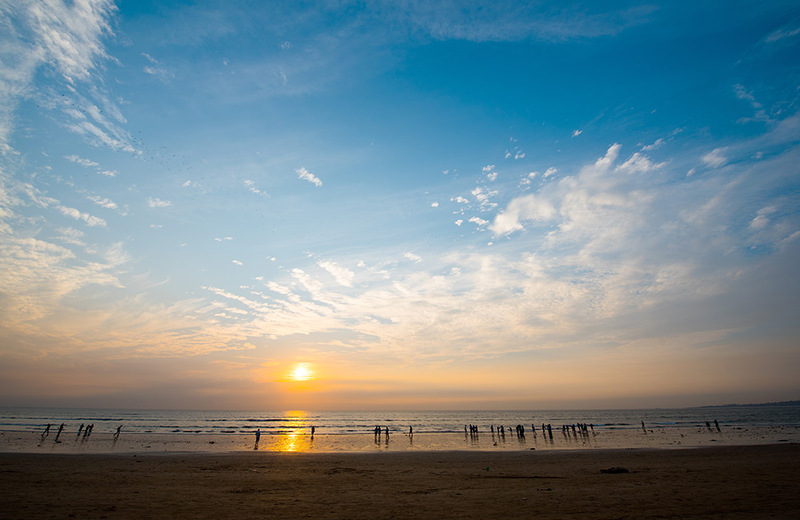 You can do all these and more at Juhu Beach. Arguably the most popular beach in Mumbai, Juhu is a big draw for not just the tourists but for the family crowd as well. The beach stands in close proximity to the posh Juhu area, which is home to a number of celebrities. It is common to spot a celebrity or two jogging here during the early morning hours or late evening. Watching the sunset is the most beautiful experience you can have while you are here. The delectable range of street food comes a close second! Overall, it’s a great place in Mumbai to enjoy a few hours of fun and relaxation with your family. Mumbai and Bollywood seem to be synonymous, don’t they? 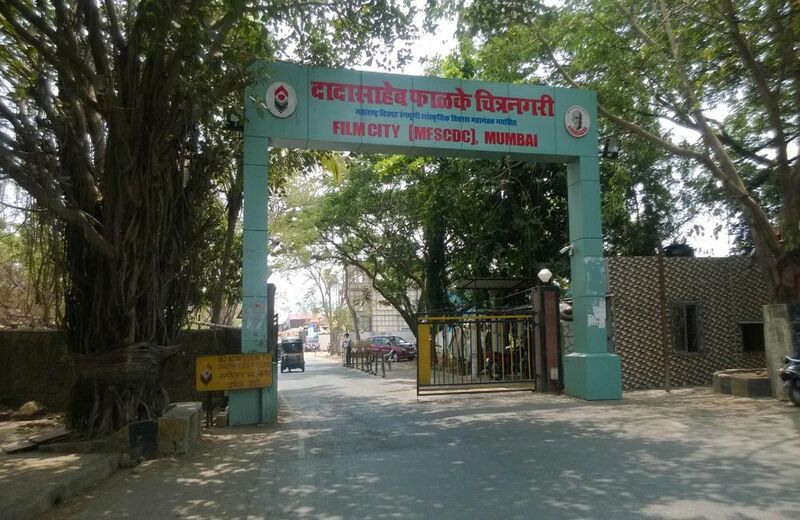 If you and your family are great Bollywood fans, Dadasaheb Phalke Chitranagari aka Mumbai Film City is where you can get a taste of how things unfold on the reel. Spread over approximately 100,000 sq. ft., this studio features lakes, gardens, prisons, temples, courts, fountains, mountains, waterfalls, villages, theatres, recording rooms, and open spaces that are frequently used for Bollywood shooting sequences. Fancy taking a family photo standing next to Sir Isaac Newton or a selfie with James Bond? You can do all these and more while in Mumbai, no joking! 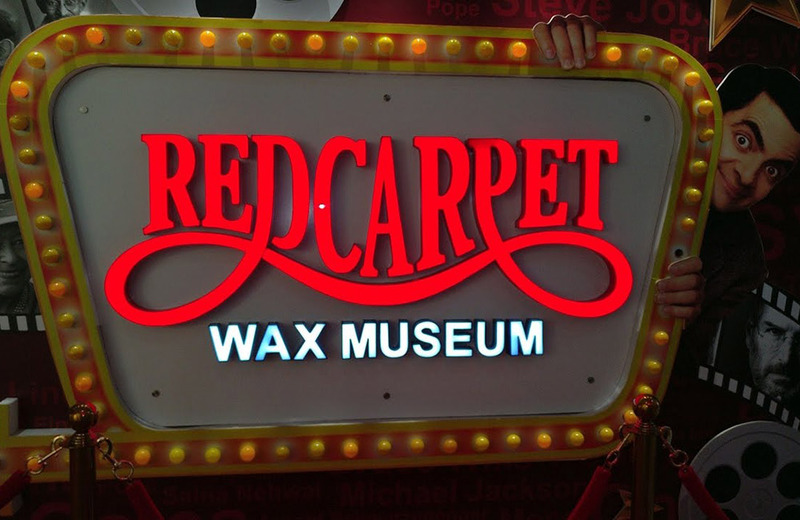 The Red Carpet Wax Museum is where all such dreams come true. The place is full of life-size statues of famous people from all walks of life, including world leaders, politicians, scientists, actors, musicians, sports personalities, and even imaginary characters like Harry Potter. Mind you, you will have a tough time persuading your kids to leave the museum. No wonder, the Red Carpet Wax Museum tops the list of one-of-its-kind places to visit in Mumbai. What’s a good family outing without some soulful shopping? 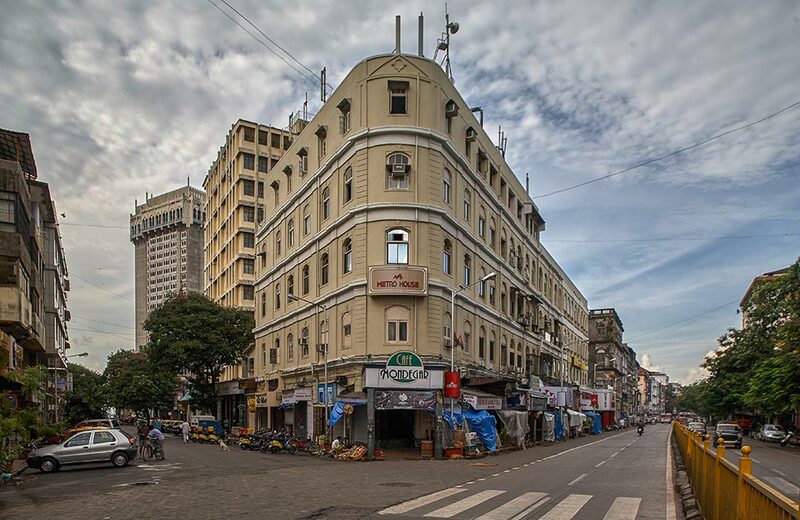 Once you are done sightseeing, head out to Colaba Causeway, one of the most popular places to hang out in Mumbai and indulge in endless hours of retail therapy. From upmarket retail showrooms and small shops with a variety of goodies to pavement bookstalls, this place has them all and more. Whether you are looking for clothes and accessories at affordable prices or electronic goods for your household, you will find them all here. You can even satiate your gastronomic cravings at the restaurants and cafes lining this place. Would you rather want an all-under-one-roof shopping experience, coupled with good movies, fun games, great food, and entertainment? Take your family to the malls in Mumbai and trust us, you will never regret it! The list of places in Mumbai to visit with family doesn’t end here. Covering them all in one blog is beyond us, but visiting them all is never beyond you. All you have to do is book your stay at one of the family-friendly hotels in Mumbai and begin your tour of the City of Dreams with your family. Enjoy, have oodles of fun, and create memories that transcend time!